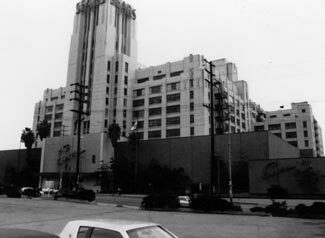 The Central City Development Group, headed by Hamid Behdad, has been instrumental in developing plans to renovate the Sears Tower in Boyle Heights Los Angeles, making it the largest high-rise building in all of L.A and the state of California to be converted to over 1000 residential loft units. The site of the proposed new Sears Tower in Boyle Heights logs in at 1.85 million square feet. 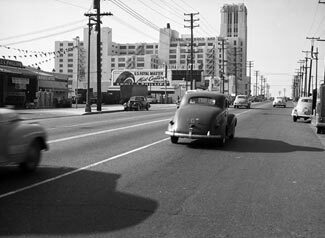 It strides stylishly across a huge area at the corner of Olympic Blvd. and Soto Street. It already qualifies as eligible for the National Register of Historic Places due to its former use as a major Sears Roebuck and Company distribution center dating to the 1920s. The sprawling Sears distribution center was a major landmark for commuters heading west near the Los Angeles River towards downtown L.A. Developer Izek Shomof spent $29 million acquiring the property in December of 2013. The renowned Los Angeles developer plans to align his Pacific Investments LLC real estate holding group with Behdad and his Central City Development Group to build what may become the largest high-rise in the West and possibly the nation. Downtown developer Mark Weinstein owned the property for nearly 10 years. He tried, but failed, to get permission and permits to construct a mixed-use project at the site. This led to his selling of the property to Shomof who has renovated several iconic downtown L.A. office buildings and hotels. Prior to Weinstein, Uniwest tried to redevelop the site, but it failed too ! Shomof now turns his attention, along with Behdad and Central City Development Group, to the disposition of the sprawling nine-story complex where merchandise once flew off Sears racks into mail orders headed nationwide. Shomof believes the acquisition lends itself to creating a new exciting, and huge, project on the site. His vision calls for more stores on the ground level and residential uses upstairs. He also plans mixed-use development with offices and retail. Central City Development Group has cleared away obstacles in the way of obtaining new entitlement for proposed redevelopment on the site . A complete makeover should take another two years, according to the Los Angeles Times. 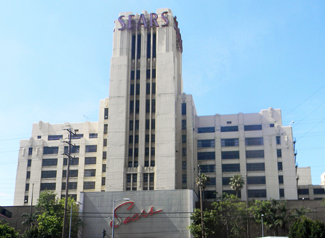 Converting sites like the old Sears site to mixed-use office, retail and residential buildings has picked up steam in downtown Los Angeles over the last decade, with Mr. Behdad as the forerunner, earning the name of The Adaptive Reuse Czar. An arts district near the site and the Los Angeles River has grown considerably during that time with industrial building converted into lofts, offices, and arts facilities. Shomof said he was hopeful the new Sears property plans would find community acceptance, adding he was open to all manner of feedback. One thing is for sure, with Central City Development Group on board to streamline the entitlement and permitting process, developmental stages and to ensure the construction is smooth through completion, the Sears Tower in Boyle Heights is bound to follow suit as a success in the renovation of a multi-use commercial and an Adaptive Reuse project.